OmniWeb is a powerful, feature-rich and secure web browser developed by the Omni Group, available exclusively for Mac OS X users. 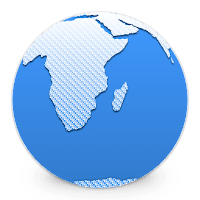 OmniWeb is an enhanced alternative to the Mac built-in "Safari" browser, which adds more flexibility for example with security settings and managing bookmarks. OmniWeb Browser is designed to provide you with the best user experience. It draws on the full beauty of Mac OS X’s Quartz graphics, and truly leverages the Aqua interface with drawers, sheets, customizable toolbars, and more. If you are a person who a loves a lot of goodies along the main product then you love Omni. Disclaimer: Direct downloads for the lastest version of OmniWeb 5.11.2 for Mac are provided by the official software's author, we can't guarantee safety, availability or download speed. Moreover, we don't and we won't provide any pirated/illegal versions or tools. We recommend you to avoid it as these methods can harm your device. If you like the software, buy it to support the developers. (We provide software discounts for many worldwide brands).